It seems like a simple task, in fact, you’ve been doing it likely before you could talk, but you would be surprised to find out how many people are brushing their teeth incorrectly. In order to avoid unwanted trips to the dentist, it’s worth learning how to properly brush your teeth. Standard Toothbrush – Your standard toothbrush that relies on your hand movements to brush. Electric Toothbrush – An electronically powered toothbrush that moves in a circle as you push it over your teeth. Water Toothbrush – A toothbrush that relies on water to remove stains and bacteria. The truth is, no brush is better than the other. It’s more about your mouth and how you use it. You just need to make sure the brush you’re using can reach all the areas of your teeth, and this will vary by person. If you can afford it, electric brushes tend to do the best job of cleaning. Brushing too hard can be damaging to your teeth. It can cause you to work away precious enamel. You should be able to remove all the plaque on your teeth without scrubbing, so take it easy on your teeth and they will thank you. If you are rushing through your morning routine, likely you are when brushing your teeth as well. You should be brushing for about 2 to 3 minutes every time. A good way to measure this is to brush to a song that lasts about 3 minutes. You shouldn’t be brushing your teeth from left to right. This doesn’t do a good job and can also be damaging. You should be brushing your teeth in a circular motion, focusing on each tooth individually. These are the most common mistakes people make when brushing. Another thing to remember is to brush often. Ideally, you would brush your teeth after every meal, but twice a day for 3 minutes should suffice. 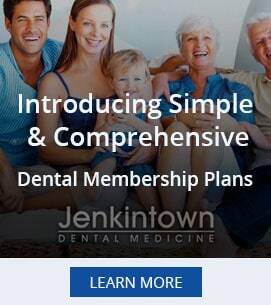 If your teeth are already damaged and you need a dentist to take a look, you should go to Jenkintown Dental in Elkins Park. They have the some of the best service and can show you exactly how you should be brushing.